People see a physiotherapist or other health professional to solve a physical complaint. If the body’s network of muscles needs attention, they will work their magic. But who comes to the aid of the physiotherapist when their business grows and their network of clients needs to be managed? Businesses like physiotherapy or similar therapeutic occupations are so reliant on a personal relationship that there is little time for system management. Working with this successful physiotherapist, Starfish Admin Services turned a knotted muscle into a well oiled machine. When a business harbours so many different requirements, the administrative experience that we bring to the table makes a very tangible difference. Health services require expertise in diary and calendar management. The nature of the work demands physical presence, so it is key that logistical systems are well structured and managed. By implementing a cohesive online diary and room booking system, we enabled this business to manage their client appointments in a streamlined way. Financial management is key to any small business, regardless of industry. Maintaining an even cashflow allows the business to grow and the owner to focus on the reason that they chose the profession in the first place! So we implemented invoicing systems, chased up, and even took payments, ensuring prompt remittance and a smooth flow of business. The finances of health are, however, more complicated than many other industries as there is often the additional process of private healthcare to consider. We took queries about procedures for a variety of healthcare providers and undertook the processing of claims too. In this case, our client was able to reduce the number of days worked by one day per week. Achieving a valuable life balance allowed them not only an improved quality of life, but also the perspective to direct the business with clarity. 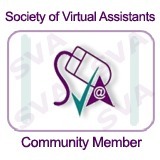 Sometimes the value that a virtual PA service provides is more than one of cost saving, it is measured in time. Who can say which is more valuable.